Third Drawer Down in collaboration with Scottish artist David Shrigley are pleased to present the Don’t Touch My Stuff cotton tote. 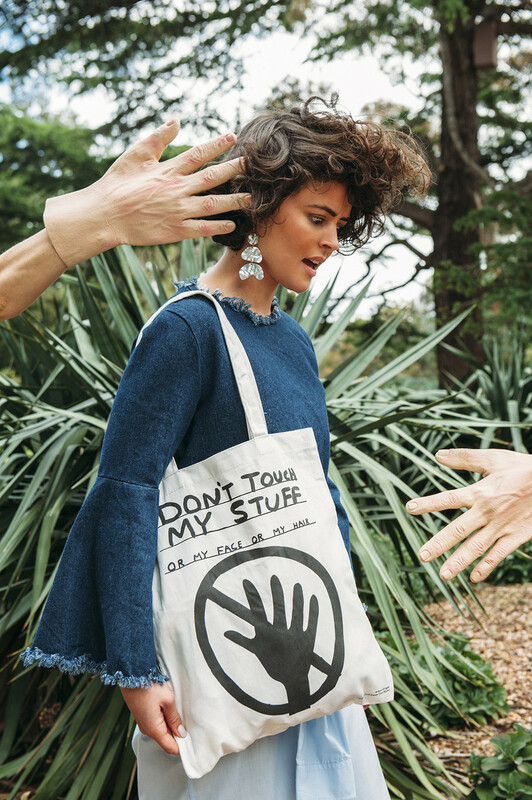 Don’t touch my stuff, or my face or my hair. Seriously. Made from 100% ecological cotton, the thick canvas Papercut book bag comes in off-white color and with long handles.